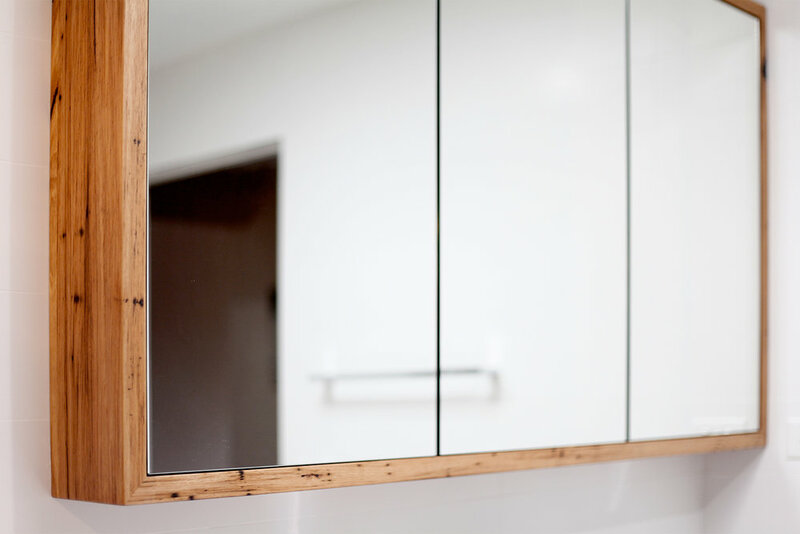 A timber frame shaving cabinet is the perfect accompaniment to your solid timber vanity. As well as adding another timber element to your bathroom, a shaving cabinet creates lots of very useful storage. Each timber shaving cabinet is designed and made to order to ensure the perfect fit for your space. The design can also be altered to suit your style such as a larger timber frame or the addition of a timber shelf for decorative items. The internal aspects can be created from timber, ply or melamine depending on your preferences.